Ok, I’m off to Mars and here’s my boarding pass! I’ll be heading to the planet sometime between the 4th and 30th March 2016 along with 572,863 others on a NASA lander. I’ll admit, it’s going to be a little cramped. So what’s the deal? Well, it’s a little bit of fun that NASA is having. 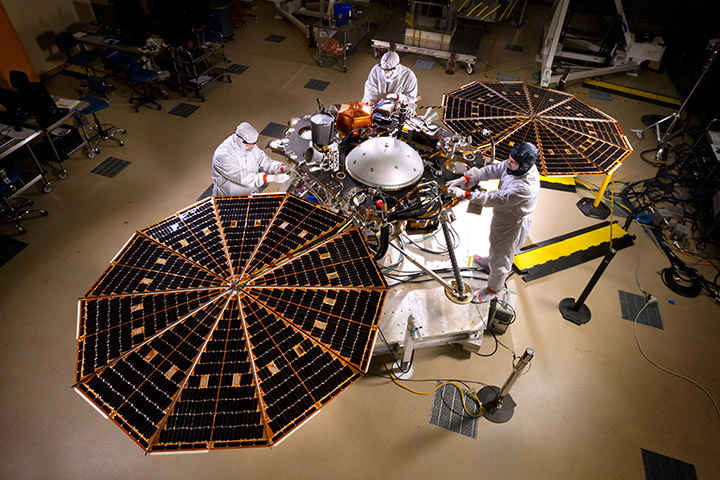 NASA has a new Mars lander called InSight and it’ll be blasting off for the planet in March and arriving late 2016. Its job is to investigate the internal structure of the planet sending back information on the core, mantle and crust (mission details here). NASA is allowing your name to travel somewhere in this machine on a small silicon microchip. Ok, so it’s not like your name is going to be carved into a martian rock somewhere but it will be in the machine that lands on Mars. So technically, at a stretch, a little bit of information relating to you will arrive on Mars. Who knows, in the centuries ahead if man ever colonizes Mars, the InSight lander might end up in a museum. Imagine your descendant pointing at a screen saying,”Look Daddy and Mummy, there’s great great great Granda’s (or Grandma’s) name!” A permanent part of mankind’s history in space exploration. Well, it’s nice to dream but hey, who knows right? In hindsight I maybe should have added my middle names or at least initials after my first name…I can see it now, a teacher on Mars asks, “So did you find out whether your great great great grandfather put his name on the lander?” My descendant replies “I really don’t know, there were five David Hamiltons on the list…if he was there he wasn’t smart enough to put his initials…” Yeah…that’s that dream deflating rapidly for me…I’m going down in history as possibly a little dense…great. Maybe I’ll print and laminate the ticket and pass it down from firstborn to firstborn to save my reputation. So anyway, you’ve got until the 8th September to sign-up – so share it with anyone you think might be interested! It’s for anyone in the world and is especially good for kids (home or classrooms) who will have their minds blown that their names are going to Mars. You can print the ticket out for them and watch the launch of their name to Mars live online in March. It’s actually a great way to cultivate an interest in science and exploration in them. NASA asks for your first and last name, postal code and email address. So sign-up and get your name on the probe here if you like! Head to the new flyers section. And maybe add your initials or middle names…just saying. Continuing on the Mars theme, I highly recommend the book ‘The Martian’ about Mark Watney, a NASA astronaut. He becomes stranded on the planet after the mission crew is forced to evacuate during a dusk storm believing Mark to be dead. Armed with only his ingenuity, engineering skills and sense of humor, he faces overwhelming odds to stay alive on a lifeless planet. This is a thoroughly enjoyable read as the 4.5 star rating by 15,800 people on amazon.com testifies. It’s hard to put down! It has been so popular that it is being made into a feature length movie directed by Ridley Scott and starring Matt Damon. It’s due in theaters October 2, 2015. This book is a must read before seeing the movie and the paperback is currently $9.00 on Amazon.com for those in the U.S. or a real bargain for £3.85 on Amazon.co.uk for those in the UK. It contains some strong language (as, let’s be honest, is expected from someone stranded on Mars) so if easily offended this may not be for you. I’ll leave you with the trailer below.